Sonny’s Barbecue catering service offers a combination of party-size portions of barbecue favorites from slow-smoked meats, desserts, delicious sides, drinks and others. Their catering service are intended for 30 to large group of guests and the services includes pick up orders, set-up and serve kind of service and delivery service. Customers who are fond of holding their parties outdoor would love to sample the services of Sonny’s BBQ Catering service. They do not only provide the famous southern style barbecue but also offers added convenience in their catering service. Sonny’s BBQ Catering started as a local family restaurant in Florida which was owned by Floyd “Sonny” Tillman and wife Lucille in 1968. As of 2015, they operate 122 restaurants in nine states including North Carolina, Alabama, Tennesse, Kentucky and Louisiana. Sonny’s BBQ Catering provides their customers options on their services, which could either be a pick-up, set-up and serve kind or delivery service. The customers can just access their website, view the catering menu offered by the restaurant nearest to the customer’s location and finalize the kind of service needed. People seem to like the kind of dish offered by Sonny’s since they have this signature Southern-style barbecue paired with other meal options and several side dishes to choose from. All catering package of Sonny’s BBQ include choice meat(s), bread,three side dishes, paper plates and utensils, lemonade, barbecue sauces and fresh-brewed iced tea. They also offer packages for a small group of approximately 30 guests with Sonny’s Catering Starters package of full size platters. All the customers need to do is to find the Sonny’s Barbecue Catering restaurant nearest to their locationto place their orders and choose the package of their choice. For customers who would go online orders, this will require 24 hours to process and they should contact the local Sonny’s directly to make the necessary arrangements.Service or delivery fees may apply for some services. Sonny’s require a 20-person minimum for all catering orders, with $400 minimum order for delivery options and $750 minimum for set-up and serve option. 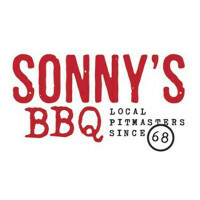 Sonny’s barbecue catering provide their customers with several options to choose from which includes Sonny’s Signature BBQ which is offered in one, two and three meats options, Sonny’s Signature Ribs and Rib Combinations among other choices. The estimated pricing range for other packages except for Sonny’s Catering Starters start from a minimum of $12 to $15 per person for pick-up options, $14-$16 for delivery and a range from $15-$17 for the set-up and serve options. Service or delivery fees may apply depending on the options chosen by the customers. A 20-person minimum is required for all catering orders. Sonny’s minimum order for delivery should be $400 as a package and a $700 minimum for set-up and serve. Sonny’s BBQ catering service offers a relatively lower price compared to their competitor which offers a maximum of $22 per person whereas Sonny’s highest price is pegged at only $17 per person.